Omega oils -- fish and nut oils, are among the best supplements for inflammation. These anti aging supplements for inflammation are recommended by doctors for the prevention of a heart attack, stroke and hardening of the arteries. These supplements for inflammation give protection for what causes a stroke -- BOTH types of strokes: clotting (ischemic) and bleeding (thrombotic stroke) strokes. There is ample research showing Omega-3 essential fatty acids to be effective supplements for inflammation that protect both the heart and the head! 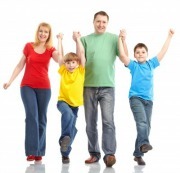 for cognitive development and a better attention span (ADHD) in children. Many experts, as well as the American Heart Association, say to eat at least two fish servings of oily fish rich in omega3 fatty acids a week. NEW research is showing other oils to be AS GOOD AS OR BETTER than fish oil. Fish is not always available nor fresh. A big problem with fish and fish oil is mercury contamination, so you need to be sure that you use SAFE fish oil pills with no mercury etc. There is also the environmental problem of over-fishing and the continued plunder of the oceans and choosing "Ocean Wise" fish. Fortunately, research is showing new sources that are as good as or have even a better omega profile than fish oil. The best are Walnuts, HEMP Seed OIL and hemp seeds! There’s a new kid on the block, called HEMP OIL and hemp seeds. A small group of Canadian farmers lobbied their government for 10 years to legalize growing hemp for its superior nutrition. They succeeded, and are now marketing hemp oils and proteins worldwide. You can get the benefits of HEMP SEED OIL by adding HEMP SEEDS to your food by sprinkling them on cereals, in soups, and in smoothies. Hemp seeds and oils are exceptional for both young and old. Why? The most unsaturated oil from the plant kingdom at over 90%. Balanced 3:1 ratio of Omega-6 to Omega-3 – this combination is also unique in plant based oils and deemed optimum for health. Hemp oil also contains the super polyunsaturated Omega-6 derivate – GLA, Oleic acid (Omega-9) and Stearidonic acid. These help with EFA metabolism where it is impaired due to age, health condition or poor diet. Hemp oil is cholesterol and gluten free. An excellent source of Vitamin E and other vitamins & minerals. Hemp oil has a delicate nutty taste, and can be used in recipes for sauces, dips, marinades and salad dressings. Hemp oils and seeds can be used as supplements for inflammation and one of the best anti aging supplements. Hemp seeds and oils can easily be added to power drinks or smoothies. Recommended daily allowance: 1-2 tablespoons. Why Hemp Seeds Supplements for Inflammation? Extensive studies show that many common illnesses are related to deficiencies or imbalances of specific fatty acids in the body. These oils are considered to be home remedies for eczema and can be a natural cure for psoriasis. Hemp seeds and oil in particular has a polyunsaturated-to-saturated fat ratio of 9.7, and this is much higher than the ratio of 0.44 typical in the American diet. By even adding a small amount of hemp seeds or oil to your diet daily you will help bring this imbalance back toward the U.S. Senate Select Committee recommended goal of 1.0. It was Spanish researchers who used ultrasound to discover that eating walnuts decreased inflammation and oxidation in the arteries after eating a high-fat meal. The walnuts offset the danger of the fat, and they also kept the blood vessels' flexible and elastic. This elasticity allows the arteries to expand when needed to increase blood flow to the body. Flexibility is the opposite of “hardening” of the arteries, or coronary heart disease. 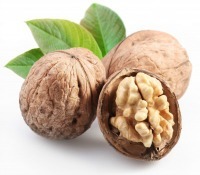 Dr. Emilio Ros, director of the Lipid Clinic at Hospital Clinico in Barcelona attributed these positive effects to the alpha-linolenic acid found in walnuts which is similar to the fatty acids found in fish. The American College of Cardiology in its review by Dr. Robert A. Vogel, professor of medicine at the University of Maryland, also found that there is a protective fat in walnuts that undoes some of the harmful effects of a high-saturated-fat diet. Walnuts are protective, and they are easier to take along in a baggy for snacks and are is less smelly than fish. 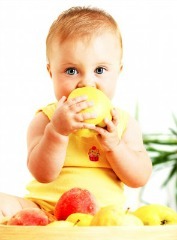 Better Brains for Babies and for ADHD? Essential Fatty Acids (EFAs) do many things in the body to keep us healthy. Eating enough of these fats is particularly important for nursing mothers, and women of childbearing age and babies. Especially, developing babies need omega-3 fats to ensure their brains grow properly – poor intakes have been associated with impaired cognitive function and even low IQ. There’s also evidence to link conditions such as Attention Deficit Hyperactivity Disorder (ADHD), depression and aggression to a lack of EFAs. Essential Fatty Acids are vital building blocks for our cells and are thought to be important for brain function.This is important for the young and ADHD, and for the old against dementia. Fish have long been regarded as “brain food” because of their high content of healthy fatty acids. People have known this historically, and understood that these fats improve brain development and maintenance. Two studies in the American Journal of Clinical Nutrition provide further evidence for the beneficial effects of omega-3 fats, including better performance or preservation of your brain function as you age. Even though there are a LOT of studies showing that these fatty acids lower your risk of dementia, there are newer studies that found benefits of EFA's among healthy people, hoping to prevent dementia. A diet high in fish and fish products is associated with better cognitive performance. Higher levels of these fatty acids were associated with less decline in the speed-related cognitive domains. It often takes decades for dementia to develop and brain volume to shrink. These studies of the effects of fats on brain function help us choose the best supplements for inflammation and omega anti aging supplements against dementia. Keeping your BRAIN and your HEART in Shape? Are You Going To Eat Curried Sardines for Breakfast? Want the best heart disease and Alzheimers disease prevention diet? An ideal breakfast would be CURRIED sardines! Because by adding curry to the fish oil in sardines, you have an added effect against inflammation! Also, the turmeric in curry has been linked to the prevention of Alzheimers disease. Heart and head go together, say researchers! Heart disease and circulatory problems are also being linked by researchers to Alzheimer’s disease. So the best foods and supplements for inflammation and anti aging supplements would help for both Alzheimers disease and and coronary artery disease! You'll likely prefer to take omega or fish oil as a supplements, but make sure that you are taking safe fish oil capsules that are free of mercury. Fish oil supplements are now also being made with turmeric so that you can get double the anti-inflammatory effect! Omega-3s are vital building blocks for our cells and are thought to be important for relieving inflammation. 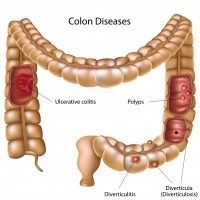 Inflammatory diseases such as rheumatoid arthritis, psoriasis, inflammatory kidney disease and inflammatory bowel diseases, such as Crohn’s disease and ulcerative colitis, have certainly been shown to improve with omega supplements for inflammation. Eating more walnuts and taking hemp oil offers the metabolites your body may need to use omegas effectively. And it can easily be used as a salad dressing. And if you are vegetarian, vegan or environmental, you now have better options for total nutrition with hemp oil and walnuts! 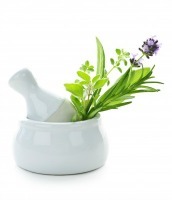 There are now a lot of options for home remedies for eczema, and a natural cure for psoriasis.